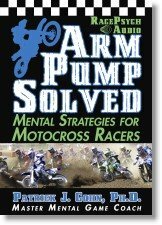 Psychology of racing expert, Dr. Patrick Cohn, at racingpsychology.com helps NASCAR, Motocross, and motorcycle racers improve performance and lap times by boosting racing confidence, focus, and composure on race day. 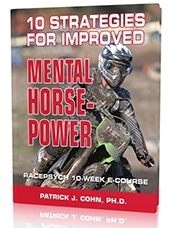 Learn how to improve your performance with mental skills training. Mental preparation is critical to success in racing. The key is to take time to prepare mentally at each stage before the race – from the time you put your gear on to the time the gate drops. Doing “mental laps” or reviewing the track in your mind helps you get committed to a race strategy. On race day, trust in your racing skills. Let go analyzing mistakes or trying to have a perfect race. Listen to this podcast on “mental preparation” to learn how to be mentally prepared before a race!